Each season brings new plants and flowers. Since children learn through their senses, try to schedule a nature walk to view, smell, and touch the foliage. When back in the classroom, invite the children to express their experiences with these preschool art projects. Plants and flowers are emphasized below. As you take a nature walk with the children, collect an assortment of leaves and flowers for future art projects. First, have the children make rubbings by covering leaves and sturdy flower petals with a thin paper. Gently rub over the paper with the broad side of a crayon (paper removed) or a piece of colored chalk. For a variation on this art project, make leaf puddle paintings. Begin by arranging the leaves on a dampened sheet of watercolor paper. Brush around the leaves with rainbow colors of thinned watercolor paint, and sprinkle a little table salt on the paint while it's wet. Let the pictures sit undisturbed until dry, then pull the leaves from the picture. Enjoy the impressionistic art along with sparkle from the salt! 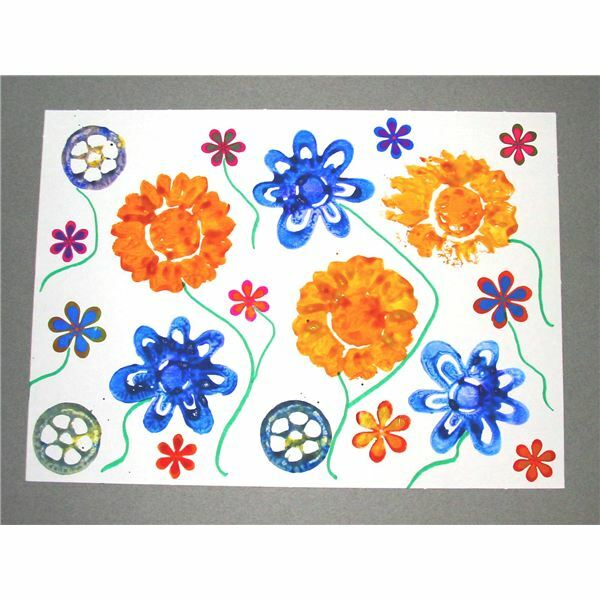 Let flowers unleash your student's blooming spirit with this art project. Supply your class with different flower-shaped stamps or sponges (these can be cut from a household sponge), paint, and paper. Invite the children to dip and press the stamp or sponge onto the paper in any design they wish to create a garden of flowers. Empty thread spools make a unique flower design, too! Next, help the children draw vertical green stems from the flowers to the ground using crayons or markers. For sparkle, glue on large sequins on the flower petals if the child wishes to do so. One of the easiest ways to incorporate leaves and flowers into an art project is to press them. Dried foliage can be pressed and decorate almost anything. Make bookmarks as an easy class project. Start by pressing flowers that you have gathered in paper towels and then lay a heavy book on top. After a few days, most flowers will be dry and flat. Next, seal pressed blossoms between two pieces of clear adhesive paper. Work out any air bubbles with your fingers. With child safety scissors, invite the children to cut these bookmarks into a rectangle shape. Punch a hole at the top and thread ribbon or yarn through the hole as a tassel. Young children especially like making this art project as they can pretend to be a flower growing in the sunshine with the finished product. Cut out the center of a dinner size paper plate. This should leave a hole large enough for the child's face. Invite the children to glue petals of flowers that they have cut from colorful construction paper all around the rim of the plate. Attach a wooden craft stick handle with heavy tape to the back of the plate. The children can place their faces through the opening of the mask and pretend to be a flower. 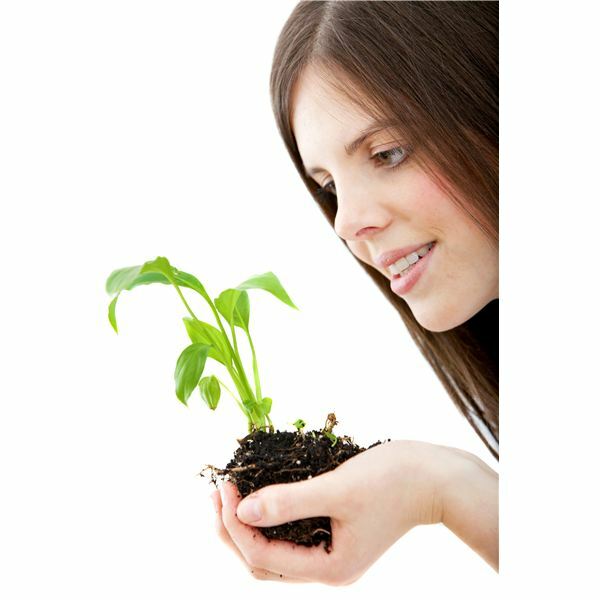 Encourage them to crouch down low and move up slowly as if they were growing in the sunshine. The can sing this song to the tune of "A Hunting We Will Go." Note: Flower names can be changed according to the season. What can you do with footprints? In this art project, a child's footprints can create the petals of a flower. Assist the children in tracing around their feet on construction paper. Make several in different colors. Help them to cut out their footprints with child safety scissors. Make a stem from green poster board, and then fan out the footprints and glue or staple them to the stalk. When using staples, place clear tape over the metal parts to protect tiny fingers from scratches. Pursue these preschool art projects plants any time of the year to bring the beauty of nature indoors through decorated leaves and flowers. Remember children learn by what they see and nature is full of life's experiences!